Wondering how you can add a widget to your site’s sidebar or how to delete an item on your sidebar? The video and steps found on this page will help guide you through editing the sidebar to include and remove information for your company. You can access your dashboard on the main account page by clicking the arrow at the far right of your site’s menu. 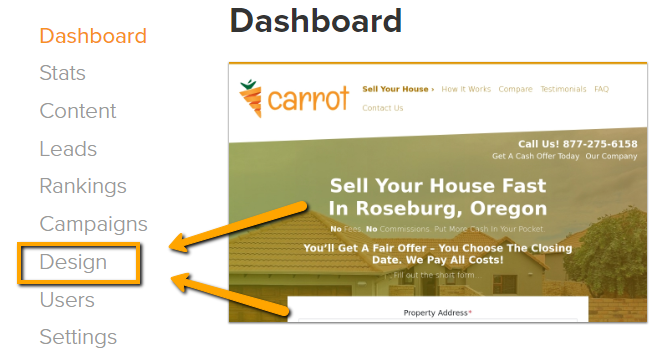 Please note, if your home page does not have a sidebar on it, you’ll want to remain in the widget section but click a link on your site, such as the “Sell Your House” or “Our Company” link. Once you are in the widget section and viewing a site with the sidebar, you will see this listed above your Footer Left and Footer Right option. You can remove a widget by clicking the title to open the widget and scrolling to find the red “remove” link on the bottom left (see below). To add a Widget, you’ll click the gray box to do so and choose from the list of options opened. 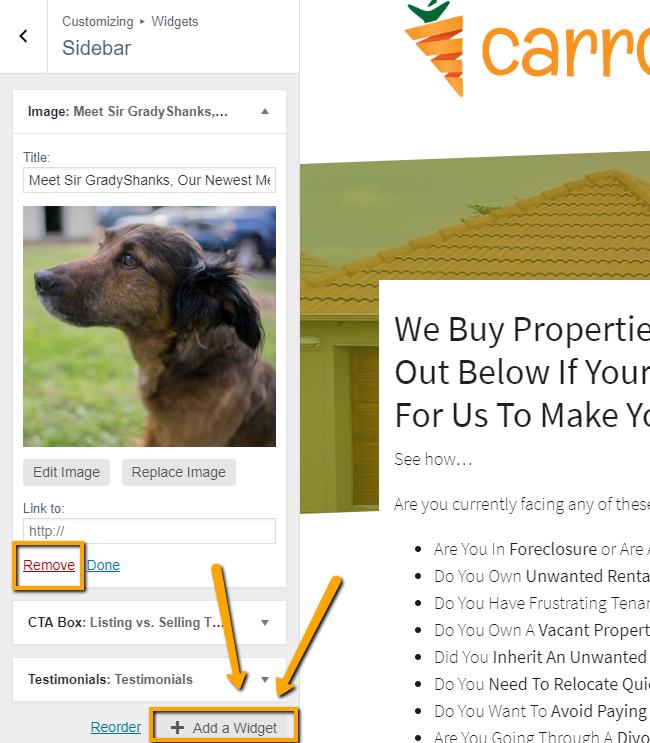 These options include: call to action box, custom html, facebook like box, forms, gallery images, rss feeds, videos, twitter timelines, and more.